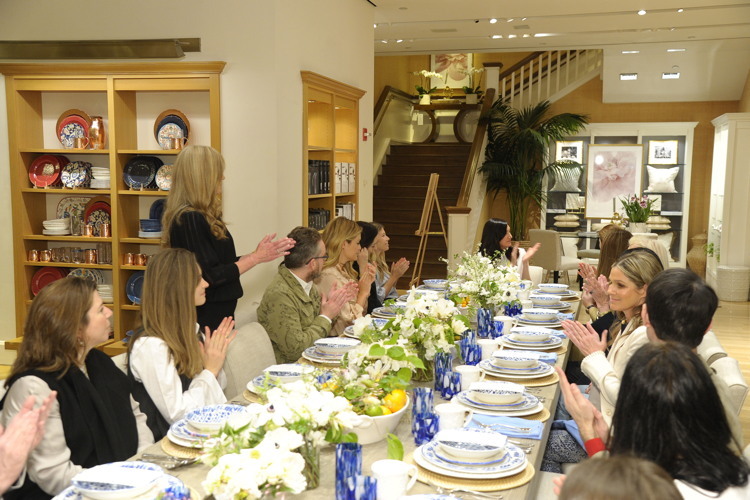 Last week Aerin Lauder and Williams Sonoma hosted a breakfast for media and style influencers to announce the Launch of AERIN by Williams Sonoma. Olivia Palermo, Lauren Bush Lauren, Daphne Oz, Tabitha Simmons, Cynthia Frank, Stellene Volandes, Editor in Chief, Town & Country, Clinton Smith, Editor in Chief of Veranda, Edward Barsamain, Style Editor, vogue.com, joined Lauder and Janet Hayes, president of Williams Sonoma, to celebrate the debut. For design mavens, it’s a match-up made in style heaven and marked the debut of William Sonoma’s first home décor collaboration in its 60-year history. 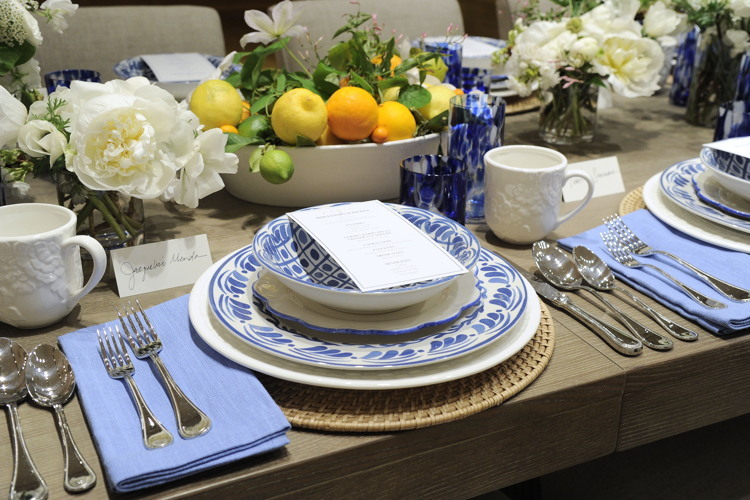 The 120-piece collection was influenced by Aerin’s passion for entertaining and includes a wide assortment of tabletop and entertaining pieces—ceramic dinnerware, serveware, and glassware–with many items featuring the blue and white color palate that Lauder loves. 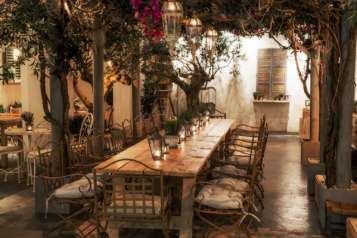 Home decor items range from pillows, bedding, hand-painted cachepots and sculptural pieces to decorative metal and ceramic objects, artwork, chandeliers and table lamps. For the home collection the color palate is muted, with gold accents, but you’ll also find chinoiserie florals and coastal-inspired motifs, along with natural fibers such as raffia and linen. 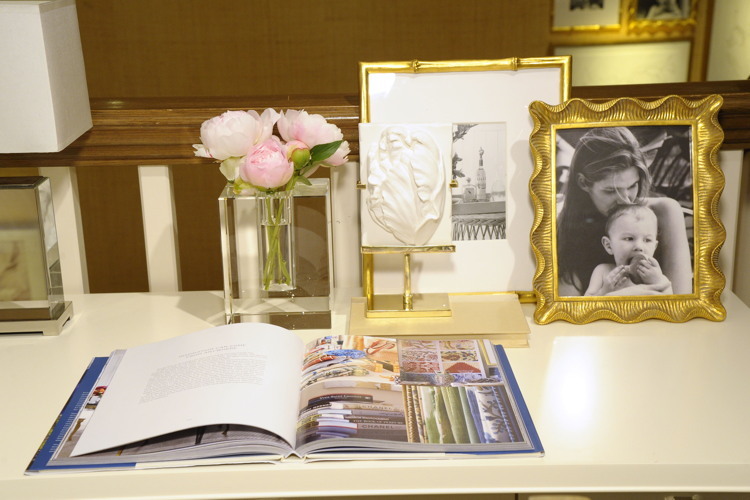 The partnership includes exclusive online content, such as a tour of Aerin’s Palm Beach home where the catalog shoot took place, as well as videos highlighting Aerin’s personal entertaining tips and the design inspiration behind the collection. 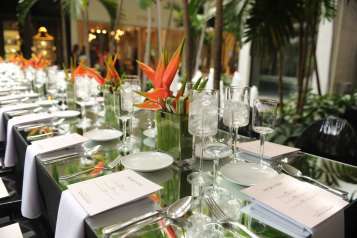 Tabletop items from the AERIN by Williams Sonoma collection. The AERIN Collection will be available at all Williams Sonoma retail locations in the U.S. and at williams-sonoma.com, with select pieces available exclusively online. 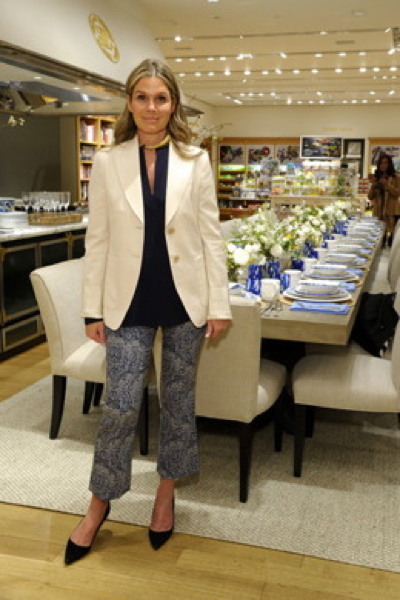 The collection will also be available at AERIN’S retail location in Southampton, NY. Prices range from $9.95-$3,780.